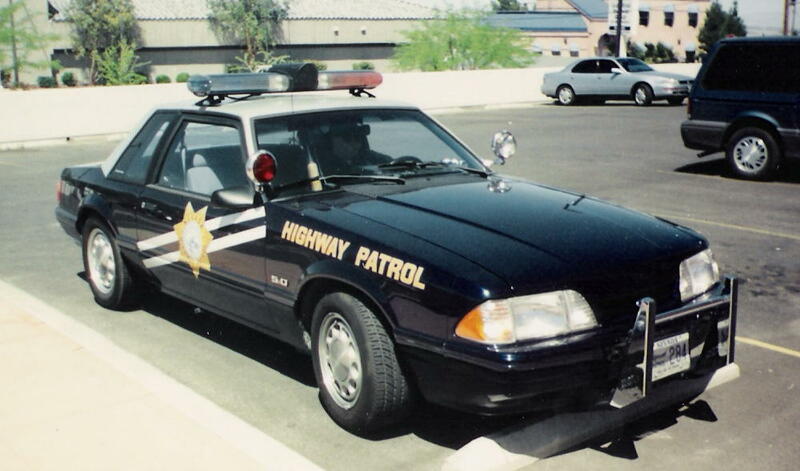 1987-1989 NVHP car, with a Federal Signal mini-Aerodynic (Model 22) lightbar. 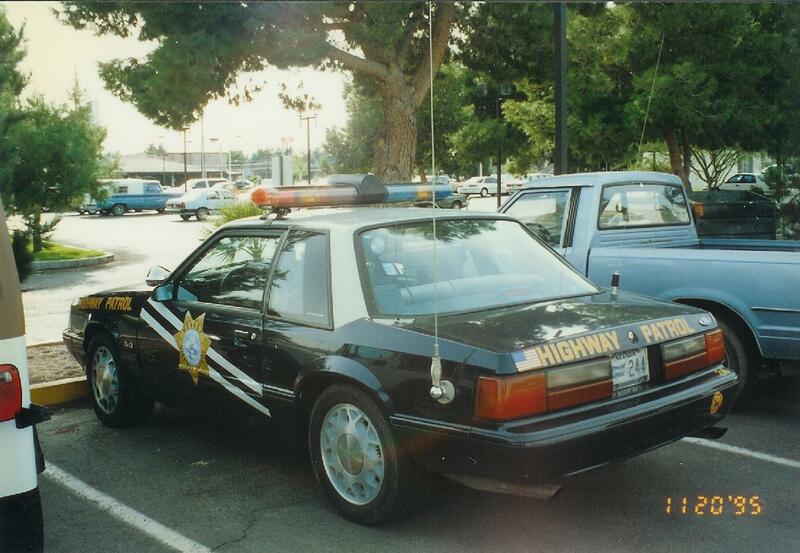 Early '90s NVHP Mustang, with Thunderbird wheels, a Jetsonic lightbar, and red passenger spotlight. E. Prince Photo. 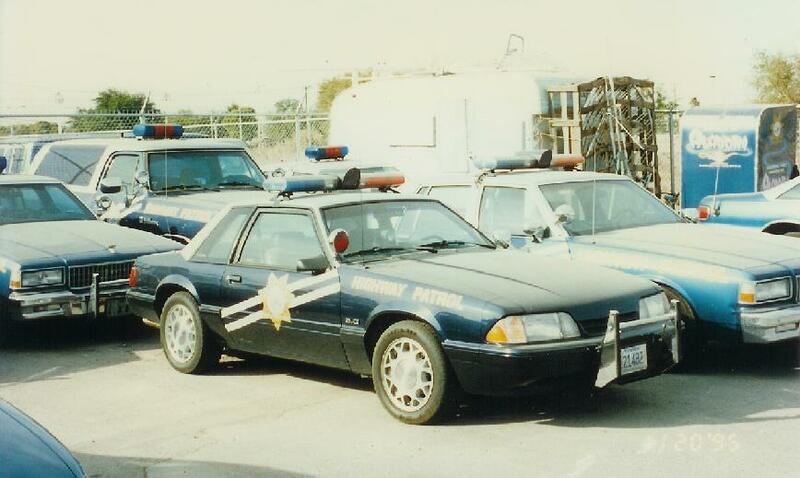 1995 photo, early '90s NVHP Mustang with a Jetsonic and running Thunderbird wheels. 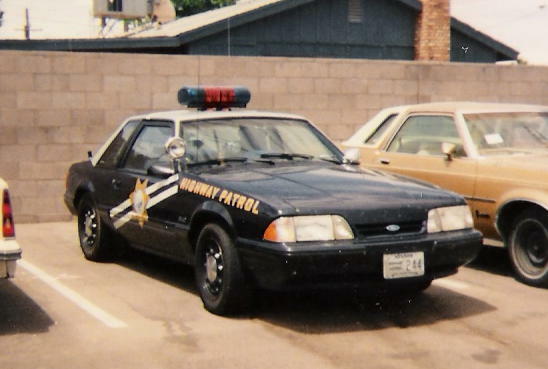 One last shot. E. Prince Photo.